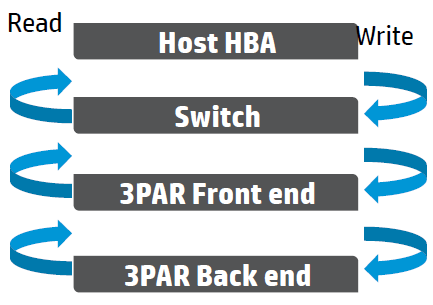 In my HP Discover preview post I guessed that a new smaller low end 3PAR may be announced. I was correct that a new model would be announced but was at the wrong end of the scale. Today before HP Discover had even began HP unveiled a new 3PAR model range the 20,800 line and they chose to supersize it. The numbering should give you a clue this thing is a monster and replaces the current 10,000 models. 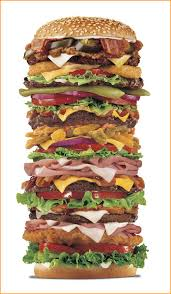 Like the 10,000 model it is scalable between 2 and 8 nodes! There are two new models in the range the 20,800 hybrid model and the 20,850 all flash system. This is one of the largest all flash systems on the market scaling to 8 nodes, 12 PB’s useable capacity and 3.2 million IOPs. HP claim the new 20,850 allows large scale flash deployments to be achieved in a more efficient manner than utilising existing systems from the competition. HP advertise 12PBs of useable space from a 3 rack 100% flash system, something they claim you would need 24 racks of a Pure system or 8 Racks of Xtreme-IO to match in terms of capacity. The table below highlights some of the maxims with the new models. 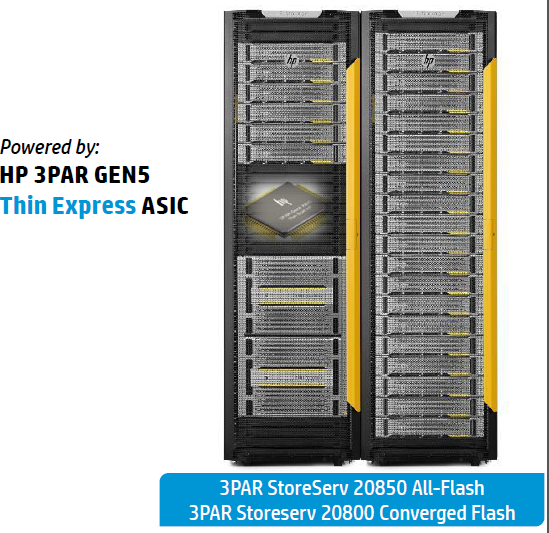 The new models see HP sticking to the fundamentals of the 3PAR design with the ASIC living on into a 5th generation. New features enabled by the new 5th GEN ASIC include Persistent Checksum, more on this later. This is a brave move by HP since it has been well publicised that top end systems such as EMC’s VMAX have been in decline. So why add more models to this end of the market? First of all it seems to me this gives HP bragging rights to be able offer one of the largest all flash systems systems on the market. In the future I would not be surprised to see HP put the system through an SPC1 bench mark to get independent validation this is one of the most powerful systems out there. 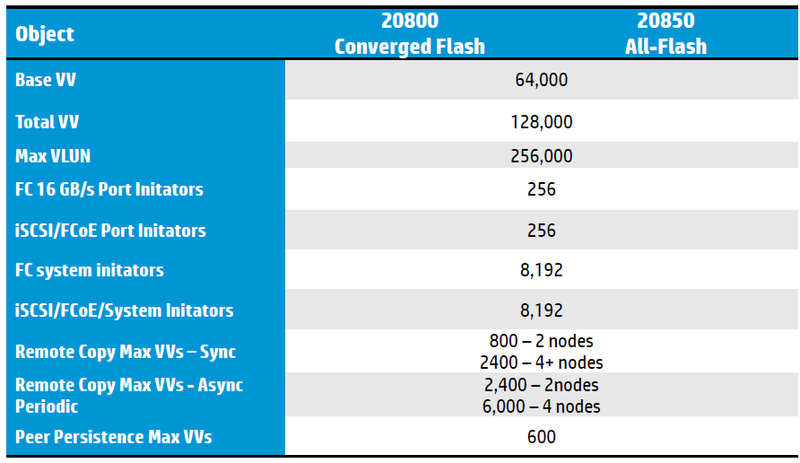 Secondly this gives HP end to end coverage in the flash market in terms of scale, from the small 7200 all flash model through to the 20,850. Combined with what is arguably the most mature and wide portfolio of software options such as replication etc. and this is a powerful package. It also looks like HP could be banking on flash going mainstream, with Gartner putting year on year growth of the flash market at 130%. It makes sense that as this market matures, niche small scale flash deployments will become less common and larger scale deployments to suit the needs of the entire data centre will become the call of the day and hence the need for larger systems. The new systems will be shipped from August. Upgrading an existing 10,000 system via a node swap to the new models is not possible, any replacement would effectively be a complete replacement. Peer motion has been available on 3PAR for some time and allows the online migration of data between systems. The feature has until now been used for one off data movements such as migration to a new 3PAR model. However there is a recognition that enhanced data mobility across the data centre is now required on a more regular basis. This could be to balance capacity across models or to move data that had cooled from an all flash system to a hybrid. Now via SSMC, data can be migrated in a one click process and all data relationships such as snapshots and replication setup will be retained. This feature is available across all current models. An online import utility to move from Hitachi systems to 3PAR has also been added. Another new feature is Asynchronous Streaming which is a new mode added to the remote copy data replication suite. Synchronous replication keeps source and destination in perfect sync but is at the cost of performance, since each write must be written at the source and destination location before being acknowledged. The time taken to acknowledge a synchronous write is minimal but when you are talking about the ultra-low latency of an all flash environment any additional delays become significant. Asynchronous Streaming Replication is essentially a form of asynchronous replication offering a very low RPO measured in seconds. 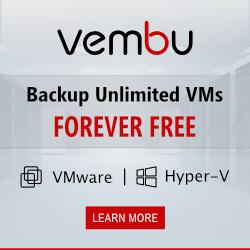 This mode offers a balance of data protection with an RPO of mere seconds but without the performance impact or distance limitations of synchronous replication. This feature is available across all current models. This new feature is concerned with data integrity and is available only on the new models containing the GEN 5 ASIC. Persistent Checksum is agentless and checks for any transmission errors from the host HBA through to the 3PAR backend. Don’t miss any further updates from HP Discover by subscribing to the blog and following me on Twitter.